Would you like some more information about Splash? Do you have questions about our swim lessons or adult wellness program, swim levels, class day/time openings or pricing? 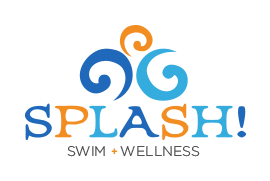 Please give us a call #262-512-SWIM(7946) or send us an email swim@splashmequon.com, and we will make sure to get back to you as soon as possible. Your inquiries are important to u, and we will try to answer all of your questions in a timely manner. If you are specifically looking to register your child, and the session is close to starting, please call the main office. Days and times can fill up very quickly as a session approaches. Please note: even if a session has already started, you can still register if there is a spot available. If you are scheduling your child’s makeup class, please call the main office at or stop by the front desk, as we do not schedule makeups through email. Thank you & we look forward to hearing from you!